THOMSON (John). Illustrations of China and its People. A Series of two Hundred Photographs, with letterpress descriptive of the places and people represented. Vol. 1 marked 2nd edition, the rest 1st edition. 4 vols. 96 autotype plates. Large folio. Original pictorial cloth, gilt, rebacked, occasional foxing (not affecting the plates), overall still a very good set. a.e.g. London, Sampson Low &c, 1873- 1874. A clean copy of this rare work, showing superb images of Imperial China including rare portraits of high government officials as well as a large number of architectural and scenic views. This item ranks amongst the most spectacular photographically illustrated books on China published during the 19th century. 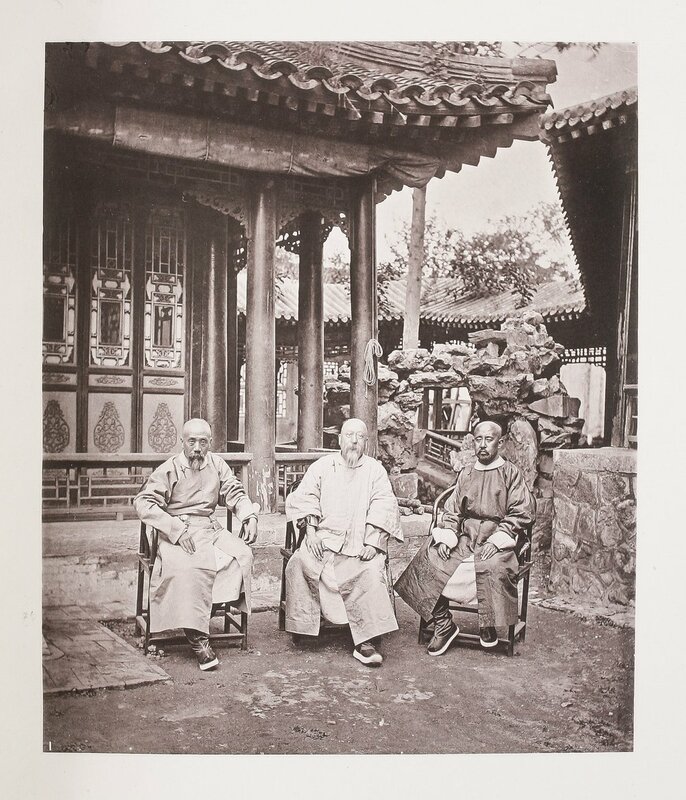 John Thomson (1837-1921) moved to Hong Kong in 1868 where he opened a studio but spent much of the following four years travelling through China before returning to England in 1872. Sampson Low used a patented process called autotype to reproduce Thomson’s photographs with the highest possible accuracy. Autotype is a form of collotype which comes very close to the high resolution of the original albumen-prints and due to the cost very few books were published using this technique. Apparently only 600 copies were printed of vol. 1&2, a small print-run that was later increased to 750 copies for volumes 3&4 so our set belongs to the 1874 printing of the book. They were sold for £3/3s per volume, a very substantial amount at the time. C.f. R. Ovenden: John Thomson (1837-1921), p.32-33. Cordier I, 94; Roosens/Salu: History of Photography - Bibliography of Books, 10391; Colnaghi: Photography; The first eighty years, 325.